Erdinger Weissbrau, located in the heart of Bavaria, is the world's largest wheat beer brewery. 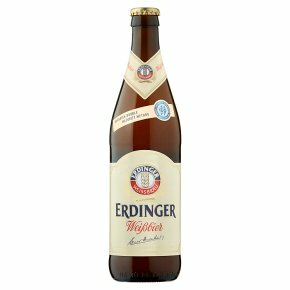 Deliciously crisp and refreshing, Erdinger is a cloudy, bottle-conditioned beer showing citrus notes balanced with an apple fruitiness that leads to a bittersweet finish. Ideal with roast pork or mussels.